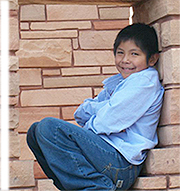 LaVida Mission grows » One of the joys we have in the Rocky Mountain Conference is to support a vital, self-supporting mission in New Mexico for the Navajo nation. Lynn Scherencel, the school’s principal, shared with me the great news that the school is overflowing with new students this year! In fact, enrollment is up 300 percent! Cathy Kissner, Rocky Mountain Conference Adventist Community Services and Disaster Response coordinator, helps organize an effort to collect supplies needed at LaVida Mission. Click here to learn how individually, or as a church, you can support this ministry and its needs. Contact Cathy directly if your church has items that need to be picked up. Call 970. 201.3799 or email [email protected]. Pastor meetings held at Glacier View Ranch » It was a refreshing, encouraging time spent together this week at Glacier View Ranch with the pastoral team here in the Rocky Mountain Conference. We have a tremendous group of pastors! Des Cummings Jr., Larry Yeagley, and Martin Weber were the guest speakers. Des spoke about CREATION Health. Larry shared about grief ministry and clergy loneliness. Martin moderated a discussion by a panel of five RMC ministerial couples who shared from their experiences and expertise how to strengthen the pastoral home and the unique role of parenting children in a pastor’s home. We thank the GVR manager, Clayton Hart, and his fantastic team for the excellent experience, also. 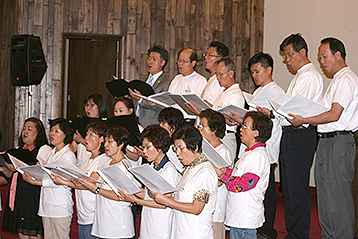 Korean Camp Meeting blesses members » This past weekend, the second annual Mid-America Union Korean Camp Meeting took place at Glacier View Ranch, with Pastor Seon Ho Kim, who pastors the Denver and Rocky Mountain Korean churches, providing leadership for the weekend. There was wonderful music, children and youth programs, preaching and some very delicious food! They are already looking forward to next year’s get-together. New School Year Dedication takes place at Mile High Academy » Mile High Academy began the school year this week with a very special dedication service, which began at the flag pole outside the school. A special flag-raising took place, the Star Spangled Banner was sung by Matthew Taduli, and the students moved through various stations throughout the campus for dedication prayers. The other good news was that the registered students exceeded the budgeted enrollment by 12 or more students! Let’s keep Mile High and all of our schools in prayer as the 2012–2013 school year begins. On the road » This Sabbath we have the privilege to worship with our church family in Aztec, New Mexico. Sunday, August 19, is registration day for Campion Academy. Our conference is blessed to have this school, and the wonderful staff contributes to an excellent academic setting encompassed in an environment where our young people can grow in their walk with the Savior. Blessings to all as we move into another Sabbath rest together.